We craft great tasting natural snacks that inspire people to go beyond. We started out in British Columbia handcrafting all-natural chips we thought were just as tasty as the big brands without any artificial flavours or preservatives. We experimented with cooking them just enough to create a satisfying crunch and then went the extra mile to get the taste and flavour profiles just right. At every stage, our goal was to create the best natural chip we possibly could. We chose only the highest quality potatoes from local farmers we knew. Some would say we were irritatingly picky. We focused on all natural ingredients and yes, we were non-GMO before it was a thing. We like to talk a big game but in this case we let our chips do all of the talking for us. People liked our chips and the ‘all natural’ approach that complimented their lifestyle choices. Because like them, we are inspired by nature and love exploring. Whether it’s going for a long walk in the woods or blasting down a muddy mountain trail on a bike, it’s all about celebrating nature. 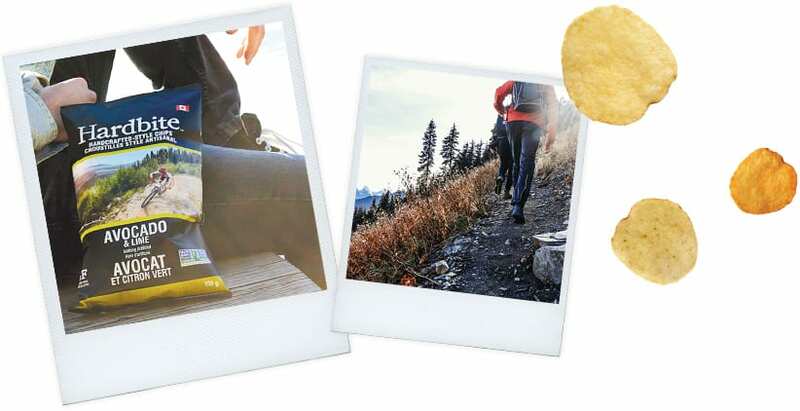 And what better way to celebrate an adventure than to scarf down a bag of all-natural chips that taste awesome. Our company has grown and so have our product lines. We have added chips made from vegetables and chips cooked in avocado oil. Through all this, our passion for quality has never wavered. Neither has our quest to seek out the most interesting flavour combinations to invite people to venture outside their comfort zone. 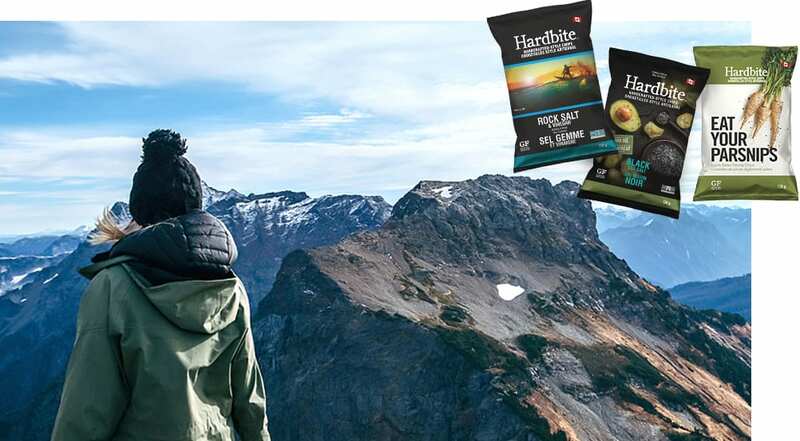 We’ll never stop exploring and pushing the boundaries of what a natural snack can be. We’re not owned by a multinational corporate conglomerate that sells everything from toothpaste to toe powder. The people that run our company work in the same building as the people who run the spicing drums. In our packaging, our language and how we communicate with each other, we say what we mean and we don’t hold back. We want to engage and inspire. Oh, and we also have a sense of humour; because snacking should be fun, people. All of our products are gluten-free and safe for those with gluten intolerance and Celiac Disease. We send our product to be lab tested and verified. We also receive Certificates of Analysis that state that our seasonings all have less than 20 parts per million of gluten (Health Canada identifies this as the threshold deemed safe for people with Celiac to consume). Are your products made in a peanut-free facility? No peanuts or other nuts are processed in our facility. We have a strict allergen management program which dictates that none of our ingredients can have peanuts and our suppliers must also have their own allergen management programs in place which eliminates cross contamination at their facilities. No MSG is used in any of our products or seasonings. Some of our products do contain yeast extract. While both MSG and yeast extract contain glutamates, yeast extract has a significantly lower concentration of glutamates and is naturally derived. Why do your products contain both imported and domestic ingredients? To ensure our products remain non-GMO sometimes sourcing within Canada is not an option. Our seasonings often contain spices, which may not be available in Canada due to our climate. We also take transportation emissions into consideration. For example, we are far closer to say, Oregon than we are to Prince Edward Island. What is small batch cooking? Our small batch fryers are filled with uncooked sliced potatoes. Once those potatoes are fully cooked, that batch is removed, and the process starts again. Compare this to a continuous fry method, which feeds a continuous stream of raw potatoes along a conveyor in a shallow pool of oil. Cooking in small batches results in a chip with a hard bite and that handcrafted crunch you love! Our products are all Non-GMO Project Verified. You can learn more about this verification at nongmoproject.org. The seasoning for Wild Onion & Yogurt, Sweet Onion, and Honey Dijon contain dairy. Before we produce products that do not contain dairy, we conduct a thorough cleaning of all equipment. Seasonings containing dairy are segregated from all non-allergen seasonings and they have their own specific tools (i.e. scoops) to prevent cross contamination. Where are Hardbite products made? Hardbite Chips are made in Surrey, British Columbia, located 40 minutes south east of Vancouver. Our production facility is BC’s only potato chip manufacturing facility.